I want to begin this week by thanking our Fremont County Commissioners and some hard working and dedicated community members for the work they have done securing additional scholarship dollars for Fremont County high school graduates. I was copied last week on a letter received by Mr. John Marietta which stated, “It is with pleasure that our team inform you of the approval of your application for the Colorado Opportunity Scholarship Initiative’s Matching Student Scholarship on behalf of Fremont Community Foundation.” This award will provide matching dollars to community organizations who raise monies to support our students as they transition to college and/or trade school. 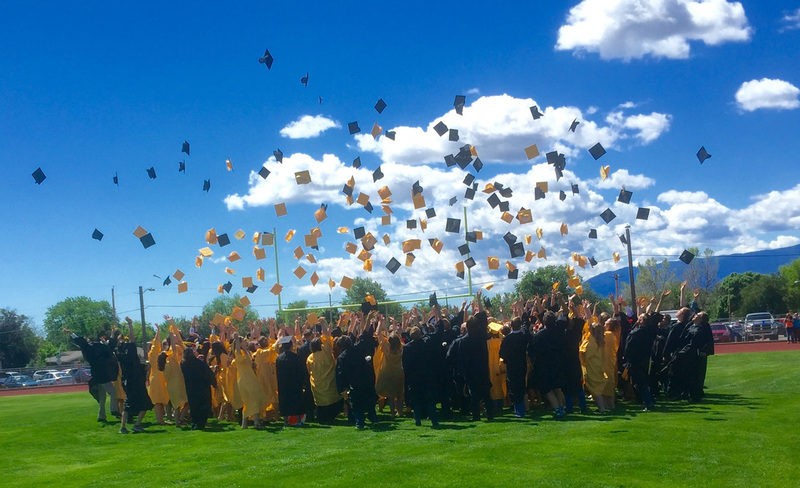 For the past 28 years Cañon City citizens have dug deep into their wallets in support of providing a safe and fun way to keep high school seniors engaged in positive activities on the night before graduation. This year’s Senior Fun fest was no different. I heard roughly $13,000 was donated this year for the purpose of rewarding and positively engaging our CCHS graduating Class of 2016. Though it might be difficult to find somebody in the community who hasn’t offered up some measure of cash, or who chose not to donate their precious personal time, I want to recognize the driving force behind this year’s effort, our school board director Mr. Shad Johnson. Since the moment I arrived in Cañon City I have heard Mr. Johnson talking about this wonderful community effort, and as I personally witnessed his dedication to pulling it off (while having to “reschedule” his and his wife Deanna’s wedding anniversary celebration) I came to realize just how important it is to parents and students. Thanks to such effort this year 87% of our high school seniors were able to enjoy great fun together, in a safe environment, while winning fantastic prizes, and building memories that will last a lifetime. I want to thank everyone who made this possible. I would be remiss if I did not mention that last week we were officially recommended to have our 1 million dollar Building Excellent Schools Today roofing grant proposal funded. We also received word that our $300,000 Expelled and At-Risk Student Support grant will be approved based on required revisions we were asked to make. Unfortunately, we also received word that, though our expanded school health care grant scored enough points to be funded, CDE ran out of dollars before an actual grant award could be made to us. It is my hope that our school community understands how hard we have been working in this district to access all the funds we can get our hands on to support the growth and development of our children. We had a good run this spring and the real work now begins as we put into place all the plans we made to improve student learning outcomes. As the school year ends I want to take a moment to deeply thank Mr. Bret Meuli for his 5 years of service as Cañon City High School principal. His principal tenure comes to an end at a time when we truly needed his steady demeanor to navigate some difficult student behavior issues. It is my hope Saturday’s commencement ceremony can stand as a symbol of the good work he has done supporting our students in becoming college and career ready and it was a true pleasure to observe as graduate after graduate took a moment to thank him for the role he has played in their lives. Mr. Meuli will continue supporting students in the future, but has chosen not to do so in this capacity. At this time I want to personally thank you Mr. Meuli, for your focus on students and a job well done. 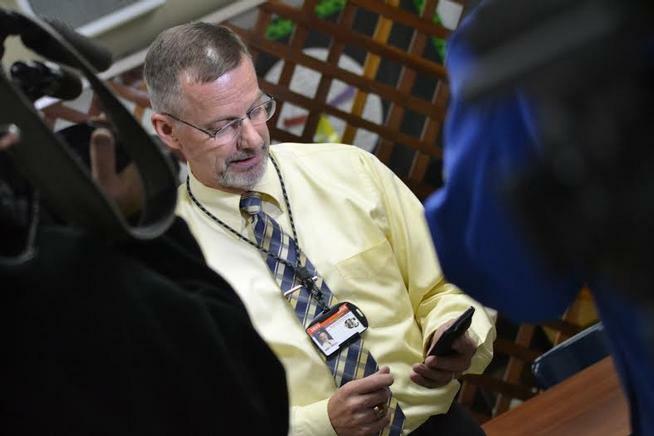 Our district office was dealt a bit of a shock last week when director of student services Mr. Dominic Carochi announced he will be retiring at the end June. Nick has worked extremely hard during the past 4 years as he held the mantle of instructional leadership in the Cañon City School District but, by golly, his wife would just like to see him once in a while. He announced his decision to the staff in an email and we have just posted his position. However, Mr. Carochi still has much to offer the district and I have asked him to work with us in a reduced role next year as we transition to a Director of Instruction model. In 2016-17 Nick will be contracted to supervise and support our on-line education program, transition responsibility for the oversight of our federal programs grant to me, supervise and support tour district library system, support planning for and implementation of monthly delayed start task force time, support the implementation of middle school culture building time, and oversee and support the implementation of our new probationary teacher coach program. Thank you so much Mr. Carochi for all you have done to place the focus on effective classroom instruction in this district, for that is what makes the biggest difference in the lives of our children. As can be imagined, the focus of our work this week is closing our schools for summer vacation. Students will attend classes through mid-day Wednesday and teachers are contracted to work through the end of that day. However, I have no doubt many will be in and out of buildings the rest of the week, moving classrooms if necessary for their next year assignment, and preparing for general summer maintenance efforts. Our principals will work for the next two weeks closing out the current school year and preparing for the next. As we begin implementation of our Early Literacy Grant we have already begun the process by hiring our new building level literacy coaches, and will soon be training them as well as a cadre of summer school instructional staff members in Lindamood-Bell Seeing Stars and Visualizing and Verbalizing intervention techniques. In the near term this effort will culminate in their using newly learned techniques to treat 50 of our children who suffer from severe reading deficiencies during our 2016 Summer School Reading Academy. In the long term these staff members will be armed with intervention skills, and supported in using them, in all they do when they support our kids in learning to read. Though summer is upon us, my work effort will shift fully toward getting the district ready for the the 2016-17 school year. This includes supporting new building leaders at Cañon Exploratory School and Cañon City High School. It also includes the implementation of new programs at the high school, and through our Early Literacy initiative, and working to transition many new staff members into their roles in our district. On Monday I had instructional consultant Ted Knight in the district to do follow up building evaluations at CCMS and Harrison. We also had a board work session beginning at 3 PM and afterward we travelled to Pueblo to honor our Gateway to College graduates with diplomas. On Tuesday facilities manager Jeff Peterson and I were in Denver attending the Building Excellent Schools Today board meeting and to answer questions about our 1 million dollar grant submission for roofing repairs. 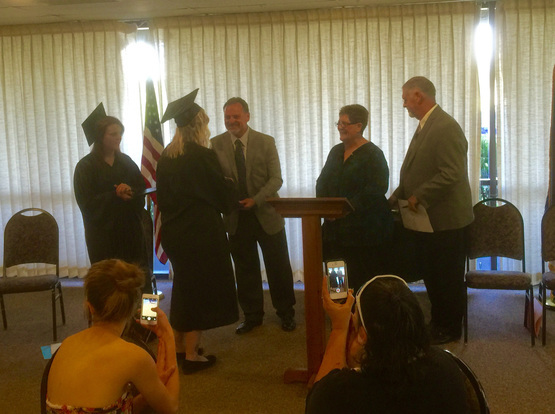 On Wednesday I had a future of education in Colorado visioning session, but returned to Cañon in time to attend our Cañon Online graduation ceremony that evening. On Thursday I travelled to Center to attend a retirement party in honor of a former colleague, then returned to Cañon in time for the classified association end of year picnic and senior honors night. On Friday I attended the Senior Fun Fest kick off celebration, then spent the rest of the day with family visitors. I finished my work week by attending the CCHS graduation ceremonies at Citizen’s Stadium. On Tuesday I’ll attend BSERT and SAC meetings, meet with parents and potential employees, and discuss possible technology purchases with Lincoln School of Science and Technology principal Tammy DeWolfe. Tuesday calls for some early morning paperwork catch up, completing some teacher evaluation processes, and spending time in schools and meeting with CCSD staff members. Oh yes, it is also the last day of school for our K-11 students. On Thursday I’ll meet with RE-2 superintendent Rhonda Roberts, review revised salary schedules with the finance department, compile CCHS Pathways Survey results, and travel to Denver to celebrate the retirement of Colorado Association of School Executives executive director Bruce Caughey. My schedule for Friday still looks a bit light right now. This week’s Echoes submission is the last of my first year as superintendent of schools here in Cañon City. I’ll continue to communicate the happenings of the district throughout the summer. At this moment I want to thank each of you for welcoming me to the community, allowing me to do this important work, and striving to take the district forward for the benefit of our children. I hope I have gained your trust along the way and I truly look forward to gearing up for the return of our students on August 18th! Have a wonderful summer enjoying the many opportunities this gem of a community has to offer, and thank you so much for listening once again!